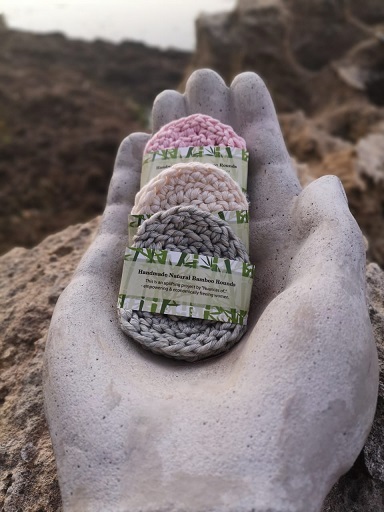 Made of bamboo and cotton thread, these amazing products are handmade as part of Skinclays' job creation initiative. Use these amazing facial rounds to clean the facial area. It gently exfoliates and massages your face. A hygienic and green alternative to cottonwool. Notify me when Bamboo Rounds (set) Cream Bamboo Rounds Assorted is available.